The following blog is an excerpt from our updated CGT eBook, Capital Gains Tax 2.0 – Issues to consider when selling your business. With the Federal Budget being handed down this week, it is worth remembering that the tax and financial policy environment can change, so be sure to check with your advisor regularly for updates. Small Business CGT Concessions can have significant after-tax advantages. 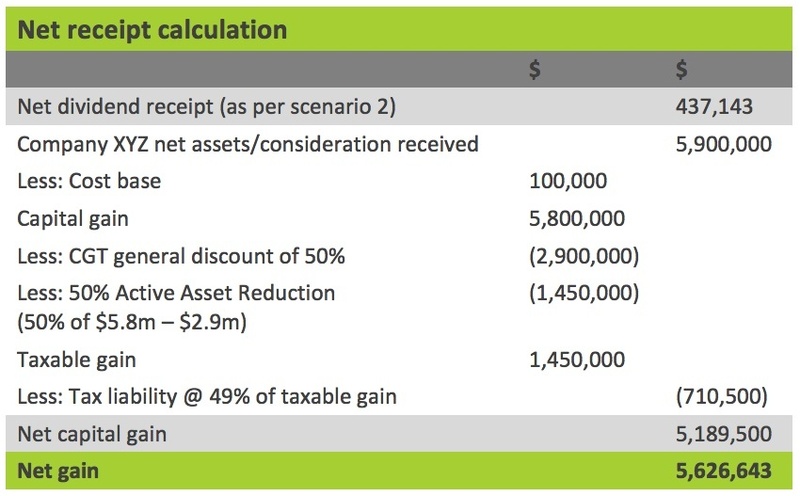 To demonstrate the magnitude of these advantages we’ve created five scenarios outlining the effects of various Small Business CGT Concession eligibility. you own net assets of no more than $6 million. Husband and Wife are in the highest income tax bracket of 49%, are over 55 years of age and looking to retire upon sale. 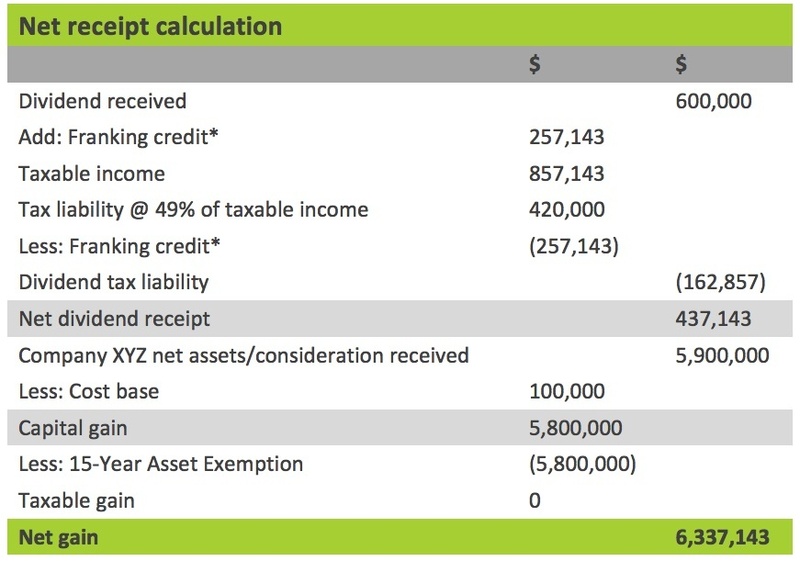 Husband and Wife are not eligible for Small Business CGT Concessions as the net assets of the business are over $6 million. * The General CGT discount applies when an asset is held for more than 12 months and reduces the taxable gain by 50%. As per Scenario 1, in addition to the following: Husband and Wife have $800,000 owing on their family home. Prior to the sales transaction, they pay themselves a $600,000 fully franked dividend to repay part of this loan. As a result, the shares are sold for $600,000 less than the original offer, i.e. $5,900,000. They now may be eligible for the 15-Year Asset Exemption as net assets are less than $6 million and the sale relates to a move into retirement. *Franking credits are a mechanism in the Australian taxation system which avoids ‘double taxation’ by recognising the tax a company has already paid when assessing an individual’s income tax liability associated with dividend payments from Australian companies. Basically, a franked dividend comes attached with a franking credit – this is the amount of tax the company has already paid on the dividend being paid. The franking credit forms part of the taxable income associated with a dividend, hence why it is part of the tax liability calculation above. However, as the franking credit represents tax already paid, the calculated tax liability is then reduced by the value of the franking credit. In this scenario we have assumed the dividend is fully franked, meaning the whole dividend carries a franking credit. Dividends can be partially franked where only part of the dividend is franked and the remainder is unfranked. As per scenario 2, except Husband and Wife are under 55 years of age and therefore not eligible for the 15-Year Asset Exemption. However, they may now be eligible for the 50% Active Asset Reduction. As per scenario 3 with the addition of the following: Husband and Wife have not made any voluntary superannuation contributions. They decide to each contribute $500,000 of the sale proceeds to their super fund; $1,000,000 in total. This contribution may be eligible for the Retirement Exemption. 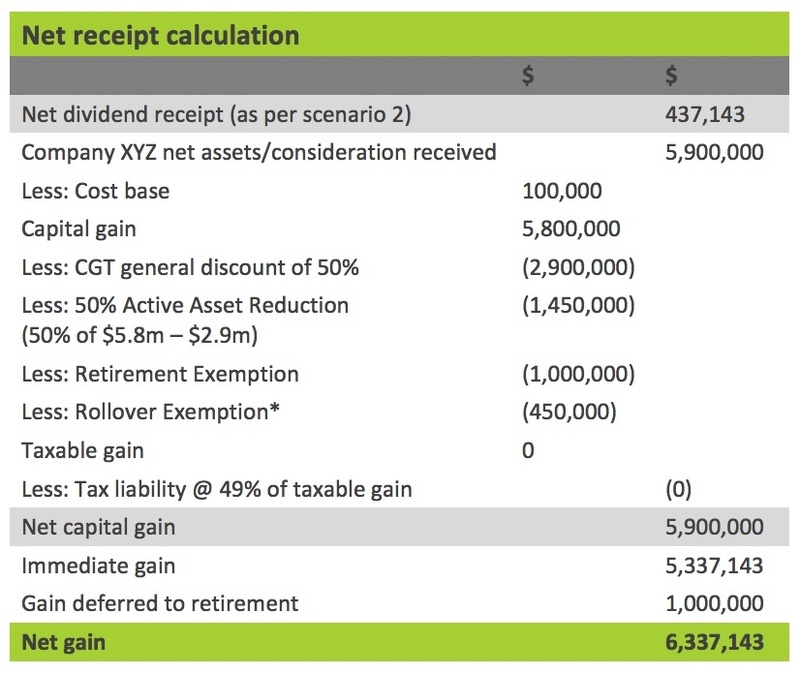 * Retirement Exemption is made up of 2 x $500,000 because there are two individuals contributing to superannuation, therefore $1,000,000 is exempt (at the time of publishing this blog). As per scenario 4, with the addition of the following: Husband and Wife decide to use the proceeds of sale to purchase another active asset within two years of the sale. They paid a consideration of $450,000 for this active asset. * The Rollover Exemption can be used in conjunction with the Retirement Exemption, however the Rollover Exemption is reduced by the amount allocated to superannuation under the Retirement Exemption. The following table summarises the financial outcomes of scenarios 1–5. 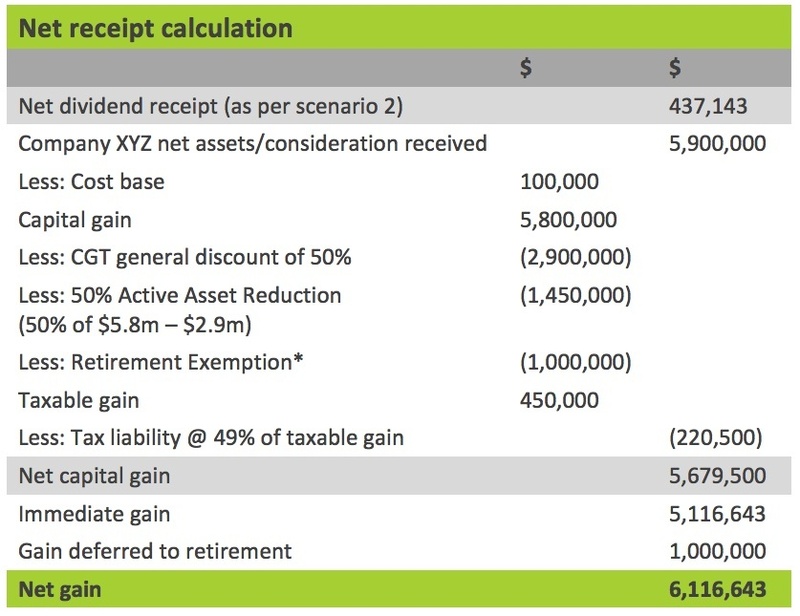 As can be seen, the potential difference in net outcomes between ineligibility and eligibility for Small Business CGT Concessions is up to approximately $1.4 million. Given we are looking at a $6.5m sale, this equates to almost 22% of the purchase price. The potential impacts from eligibility for the concessions are plain to see. It is important to note, however, that not qualifying for the Small Business CGT Concessions doesn’t necessarily mean a negative outcome for your sale transaction. For example, a professional business valuation may indicate the likely market outcome for your sale precludes eligibility for the concessions (i.e. exceeds the $6m threshold). In this case it is then important to seek advice on the benefits of an Asset sale versus a Share sale. 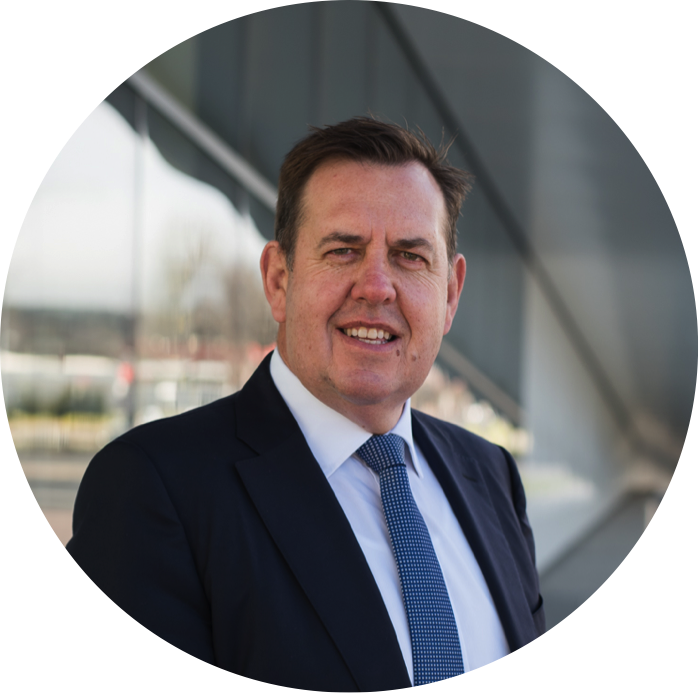 The key point to highlight here is to ensure you engage an experienced tax accountant and business advisor with the appropriate level of technical ability and experience prior to any sales negotiations. In fact, the earlier you can obtain good advice the better. Given the time, effort and energy owners invest in their business, it is often their sole investment and source of retirement funds. Therefore, it can come as a rude shock to learn almost 50% of your investment may leave your hands in the form of tax during a transaction. Engaging an advisor will help you to establish realistic expectations of the net value you may stand to receive for your business and assist in structuring the sale to enhance the net outcome for yourself. Remember, in some instances the way a sale is structured may mean the difference between getting access to these concessions and missing out altogether. If you would like to learn more about the business advice, valuation and transaction services offered by the team at JPAbusiness, visit www.jpabusiness.com.au or call 02 6360 0360 for a confidential, obligation-free discussion.